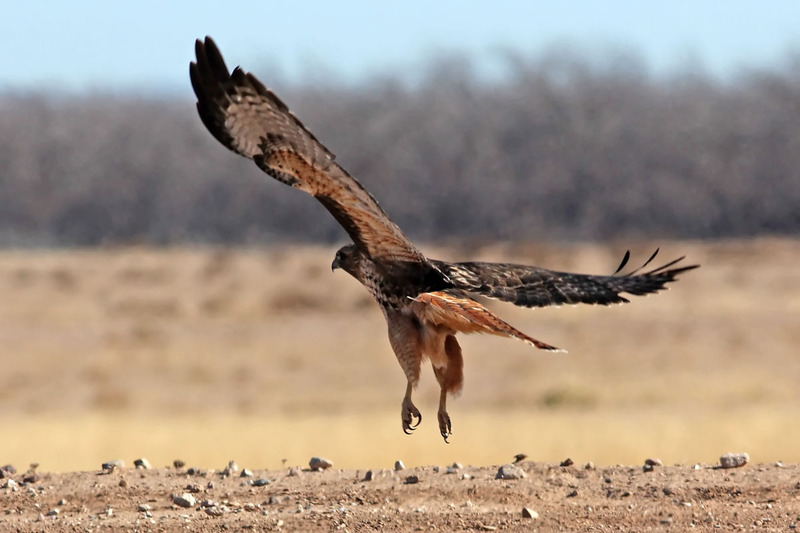 The low desert is an important wintering ground for a number of hawks and falcons. A drive down country roads near agriculture fields usually reveals hawks perched on top of power polls or berms in the fields. 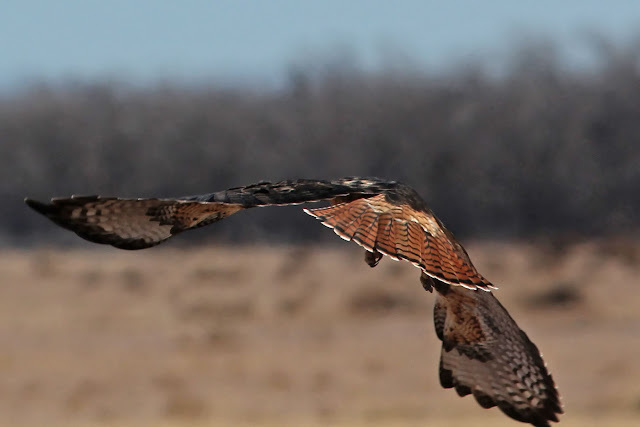 In fact, this time of year it is quite hard to miss Northern Harrier, American Kestrel, and today's featured bird, the Red-tailed Hawk. And with a bit of luck you may also spot Prairie Falcon, Ferruginous Hawk, and perhaps a White-tailed Kite. During the Phoenix Area Aquatic Bird Count I had to drive from the far eastern developments of Maricopa southwest-ward towards some canals. This took me across a nice stretch of undeveloped desert and farmland. Along this drive I noticed a nice looking Red-Tailed Hawk sitting on a berm adjacent to a stretch of agricultural land. I pulled up nearby, and turned the car off (even an idling car creates too much vibration for a crisp photo. I stayed in he car to use it like a blind (which can be very helpful when roadside birding). But as is often the case, the hawk was very jumpy, and at the sight of my window unrolling it got into an alert posture. The movement of raising my camera was just enough to force it to fly (see right). Well, I can't say that I really needed another nice Red-tailed Hawk photo, so I'm not too upset about only getting fly-away shots. Regardless, Red-tailed Hawks are amazing birds to observe. There are so many plumage variations (some of which lack the red tail) that I still like to take every chance I get to study them. Speaking of the red tail, as you can see below, this one certainly had it!